You may not need a lawyer. Sounds a little silly, doesn’t it? After all, as a personal injury lawyer, I make a living by representing clients. Obviously I can’t earn any money when I tell a potential client she doesn’t need me. So what’s the deal? Well, it’s actually quite simple – it’s the right thing to do. I got into this line of work because I was tired of watching insurance companies take advantage of the injured. To me, it’s hypocritical if I take on a client’s case and end up costing that client money, instead of making her money. Let me explain further. 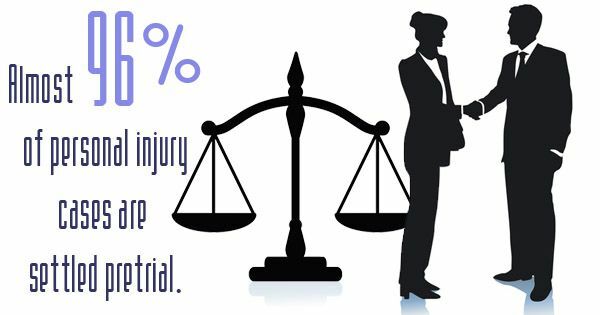 I represent clients with all types of varying injuries. Sometimes the client’s injuries are relatively minor and resolve with little treatment in a short period of time. Other times, the client’s injuries are much more severe and take years to treat and may never resolve, even with the best of treatment. I work on a contingent fee – this means that I only get paid at the resolution of the case if I get you money to compensate you for what you have been through. To me, part of my job is to get you more money than you would have received without a lawyer. I’m always confident that I can do just that. But sometimes, the “how much more” depends on a lot of factors. Example: After hearing about your crash and injuries, let’s say I believe the insurance adjuster would offer you $5,000 even without an attorney. Let’s further assume that I think with my expertise, based upon the facts and the medical records, I believe I could get you a few thousand more from the adjuster or from a jury at trial. After I take my 1/3 contingent fee, and add in the expenses of litigation, you likely would have been better off resolving the case without my involvement. I am always up front with my potential clients. I explain that some claims simply don’t merit the involvement of an attorney and I wouldn’t feel right getting involved. This in no way means that you don’t have a valid claim – you probably do- but it is likely in your best interests to resolve the claim on your own and avoid attorney fees. Other times, however, the involvement of an attorney can have a substantial impact on the amount of recovery. If you have been hurt and would like to talk to an attorney about your rights and likelihood of success, please contact Tapella & Eberspacher anytime at 855-522-5291.